Tonight, my summer vacation is over. Granted my summer consisted of only 4 weeks, but still it went by so quickly. For me, summer didn’t begin until the last week of July, but that was because I have the brilliant policy of taking summer classes. And now my fall semester begins tomorrow. You would think that with only a few weeks of a free summer, I’d go wild. Traveling, vacationing, partying – you know, the fun stuff people do during summer. I practically did nothing this summer. Most of my summer was spent working and just hanging out with friends. Don’t get me wrong, those are two of my favorite activities. What I did need though was a last hurrah before giving up my free time and social life in return for college. So Saturday evening I headed down to visit my friends in San Diego. We had no real plans for the evening, and we began the party at their house with other friends. With a bonfire, horseshoes, and other games, we managed to have an awesome time. From the house, we could see the strobe lights from the dance party at SDSU. 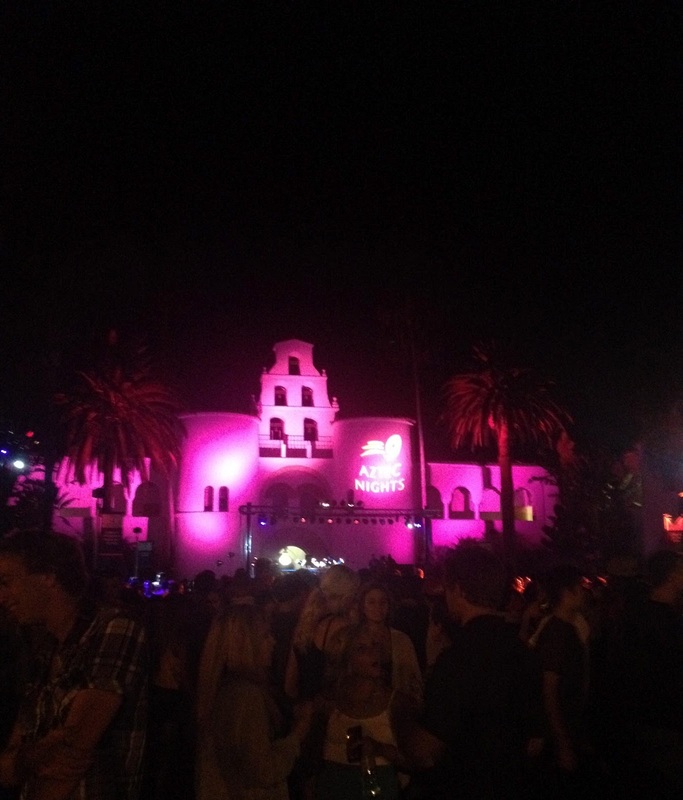 So later that evening, we decided to head over to the Red & Black Dance at the SDSU campus. There were so many college students dancing to a DJ playing the latest hits. My friend Anna was determined to dance. But not just anywhere. She wanted to dance up front, right by the DJ. Somehow we threaded and pushed our way through the dense crowd to about 5 feet from the front. Realizing that was the closest we would get, we began dancing. After a couple minutes, our little dance party was cut short when we realized that we had been separated from our friends. Then we began the awkward squeezing trip back to the outskirts of the crowd. After catching up with our friends, we decided to head back and resume our party at the house. But once we got to the house, we all realized that we were starving. After grabbing Pita Pit, we came back to the house and sat around and ate. Then instead of resuming the party and inviting more people over, we simply sat and talked. It was really cool. The conversation wasn’t deep thoughts or profound ideas. It was just a small group of friends enjoying themselves. And for some reason, it felt like the perfect ending to our party and our summer. Tonight, summer has ended, but I am happy. My summer was great, life is good, and my friends are amazing.